Cesarean delivery, which is a cut in the belly for the baby to leave, is still much criticized, but there are many cases that the only way out is to perform this procedure, this occurs when the baby is not able to be born normally because of his position. There are also women who opt for cesarean birth so they can choose the day of their child’s birth and want a painless birth. At the time of birth, the woman may not even feel pain from the anesthesia, but if the operation is not well cared for, women may feel a lot of pain, so it is essential to know how to treat the cesarean section scars. In the early days, the woman should stay at rest and avoid positions that put pressure under the abdomen, especially in the area where the cut was performed. Change the dressing every day, wipe the wound with saline solution and cover with clean, dry gauze. Do not expose the cesarean scar to the sun as this can stain the skin and increase the appearance of the scar. If you do not have an option, before sunbathing, protect yourself with sunscreen. Do not apply any product to the wound, such as cream, gel, ointment, only do so when it is fully healed. Another important care is to drink plenty of water and have a diet rich in vitamin C and fiber. Eating low fat foods, vegetables and fruits is also very good because it helps in healing. 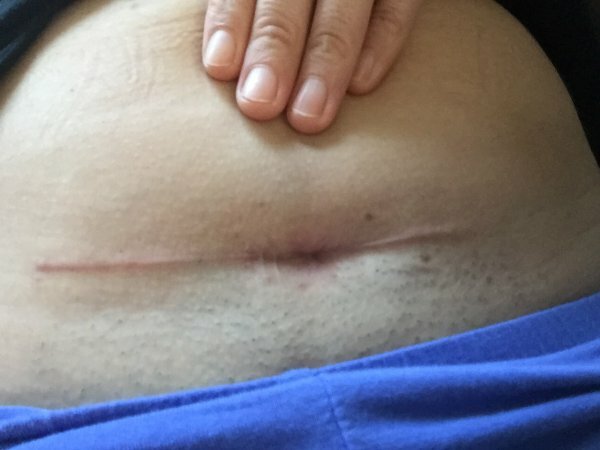 How to remove the cesarean scar? For women who do not want to have the cesarean scar, there are some options to remove it, they are: plastic surgery, laser treatment, treatment based on dermabrasion and use of retinoic and hyaluronic acid. 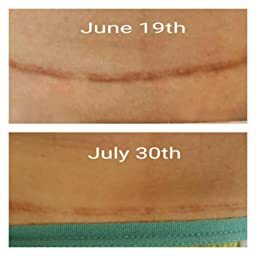 How will the appearance of the cesarean scar look like? If no problem occurs, such as hospital infection, edema, stitching line allergy, and stitch rupture, the appearance of the cesarean scar will be just a thin line. Therefore, after going through the cesarean section, the woman should take good care of the scar so that it does not get too big and also be careful not to break the stitches and leave the wound open, because this can cause many health problems. So take care to always have health and well-being.